I listen to a lot of audiobooks in the car. Sometimes when I am looking for a new audiobook to listen to, I look for something that is short. If you have ever listened to a 20 disc audiobook, you understand. As much as I love audiobooks, sometimes I need something short and something different; something to cleanse my palate (or my ears). While I was browsing the shelves, I noticed, Conversations with Lincoln and I am happy that I checked it out. One nice feature of this audiobook is listed in the title. They are stories. I did not have to pay a lot of attention to the book in order to keep up with the story because the story would end and another story would start! I also liked that this was nonfiction so I was learning something while I drove my car. The conversations that people had with Abraham Lincoln took place while he lived in New Salem, Illinois, Springfield, Illinois and while he was President in Washington, D.C. Over and over again people talk about how kind Lincoln was to people. He was especially fond of children. One tale speaks of his time in Illinois and how he allowed the neighborhood boys to go fishing with him. They all had such a good time that no boy would dare miss another fishing trip. Many of the stories that occurred while Lincoln was President involved women asking for their fathers, husbands and sons to be released from duty from the Army or transferred somewhere else. One such woman lost her husband in the war and asked President Lincoln if one of her son’s could be released from duty so that he could come home and take care of her and her farm. Another woman asked for her father’s life after he was sentenced to be executed. President Lincoln had a difficult time executing young boys that deserted from the Army. Many of them were too young to serve in the first place. Of course the Army disapproved of his leniency and claimed that he undermined their authority. While I was listening to this audiobook, I kept marveling over the fact that people were actually allowed to have conversations with the President of the United States. If you were willing to wait a few hours, it was possible that President Lincoln would invite you into his office to tell him your trouble. As you were waiting, you could be sitting next to a U.S. Senator or an Army General who were also waiting their turn. They would have had preference over you, but an ordinary person had the chance to speak to the President. The theme of this book is how kind Abraham Lincoln was. He genuinely cared about people’s troubles and he did his best to fix the problem. If he was unable to fix the problem himself, then he would refer the person to someone who could do something about it, with a note bearing his signature. He had a soft spot for children and always made a point to speak to them while they were in his presence. And he tried to do his best to reunite women with the men in their lives. Clearly, he hated that the war was destroying families. 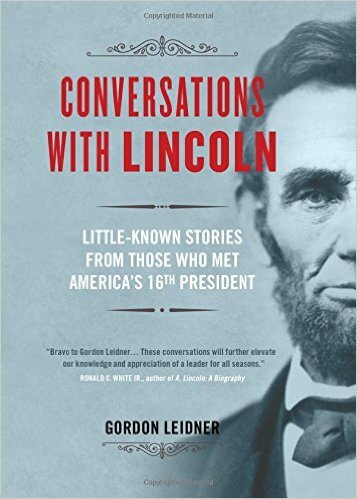 While listening to this book, it was hard to not wish an audience with Abraham Lincoln in order to speak with this intelligent and overly kind man.